1-I did not receive any feedback after I submitted my ERA-EDTA application: how long will it take to activate my membership benefits? When your application will be approved by the ERA-EDTA Council, you will be notified by e-mail. 2-I just paid my membership fee by credit card, but I cannot login to NDT online. Please allow up to 10 working days before you are allowed to login. 3-How can I get my credentials to access NDT online? If you are a new member, you should have received a message from Oxford University Press on how to create your credentials. If you are already a member, then you may retrieve your credentials, by inserting your Oxford University Press code of the NDT website. 4-I just paid my membership by credit card, but I cannot register to the ERA-EDTA Congress as a member, what can I do? Please retry again the next day, we may still be processing your payment. 5-I have to change my address and/or e-mail: how can I do it? Click here, insert your ERA-EDTA credentials and view and/or change your details. 6-I just applied for ERA-EDTA Membership and I wish to register for the congress as a member. When will I be accepted? The Council agreed to allow persons who apply for the ERA-EDTA membership immediately before or during the annual ERA-EDTA Congress to register for that same congress by paying the members’ registration fee, even though their application will only be accepted at the following Council meeting (Fall/Autumn Council). 7-What are my membership type options? Full members – This includes all members who reside in Europe, in countries boarding Europe and the Mediterranean Associate members – This includes all members who reside outside the above mentioned countries. 8-How can I apply for membership? Click on www.era-edta.org and then click on Membership; click on Become a member and then on Membership Application and payment form online. If you do not wish to pay right away, you may skip the payment procedure. Fill in all the required information and submit your application. 9-I have applied for membership but still have not paid. What is the deadline to do this? Once you have been accepted by the ERA-EDTA Council, you have up to one year to settle your payment. If we do not receive your payment within one year, you will be automatically deleted from the ERA-EDTA files. Your membership benefits start only after we receive your 1st annual membership fee payment. 10-I am retiring and would like to know if there are any special offers for senior members. All members who have been so for more than 15 consecutive years, who have reached 60 years of age and who have retired from practice, can become a Senior Member of the ERA-EDTA. You will receive all the ERA-EDTA membership benefits (including a free subscription to NDT online, but will not be requested to pay an annual membership fee), however should you wish to receive also the hardcopy of the journal, then there is a fee to cover. Please check the membership fees here. 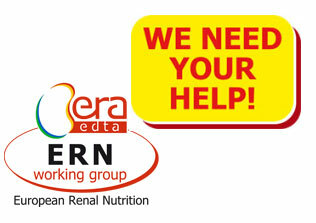 In order to apply for ERA-EDTA senior member, please send your request to the ERA-EDTA Membership Office. 11-My membership has expired: what can I do to remain a member? Unfortunately, if you do not pay your dues in time, after two years your membership will be deleted (for new members it is one year, see FAQ no. 9), thus you will have to re-apply as a new member. 12-I did not pay the previous year and I am now asked to pay it together with this year’s membership fee. Why? Even if you did not receive certain membership benefits, you however still did receive others: you regularly received all our mailings; you were able to access the members’ restricted area and view our CME presentations; you were able to actively participate in the decision process of the Society (General Assembly), access the member’s directory, vote for new candidates, etc. It is for this reason that you must pay, to remain a member, your outstanding membership fee. 13-How do I access the restricted area of the ERA-EDTA website? 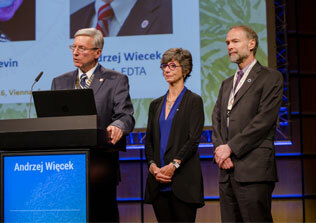 Please enter your ERA-EDTA credentials that you have received when you applied for membership. If you have forgotten them, you may click on “forgotten password?” by clicking here and you will automatically receive them to your email. 14-Does ERA-EDTA offer discounts for students, trainees or fellows? Both Associate and Full members who are under the age of 40 years old can apply for Junior membership status. This allows them to receive all the advantages of being a member, including a free online subscription to NDT, by paying a special annual membership fee. See more details here. 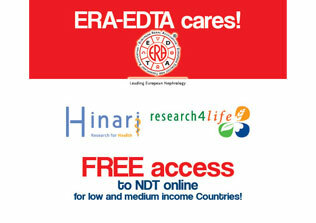 15-Does ERA-EDTA offer discounts for members living in low income countries? Yes, if you live in one of the countries listed here. You have a special discount on the annual membership fee, which you can view by clicking here. 16-By when do I have to renew my membership for uninterrupted access to NDT online? Usually, we must receive the payment, by the end of November. 17-When will I start to receive the hardcopy of NDT? As soon as you pay your membership fee, ERA-EDTA will review and send your details to the Publisher that will take care of sending the journal to the address you wrote in your application form. This can take up to 10 working days. 18-When will I be able to login to NDT online? As soon as you pay your membership fee, ERA-EDTA will review and send your details to the Publisher that will take care of sending the instructions on how to login to the journal for new members (it may take up to 10 working days). Old members will not receive any notification, but after 10 working days, they can access the journal with their NDT credentials. 19-I am a new member: when will I receive my membership confirmation? After your application has been ratified by the ERA-EDTA Council, you will receive your confirmation documents which will include your membership card, receipt and certificate of membership. 20-I’m interested on becoming a member, but I do not wish to subscribe to the journal. Is there a special fee? All those members who, for one reason or another, do NOT wish to receive a subscription to the NDT Journal (print and/or online), can pay the “Reduced Fee”. They will receive all the other membership benefits except the subscription to the NDT Journal. 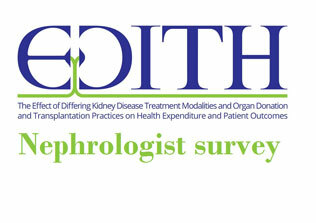 21-I’d like to join the Young Nephrologists Platform - YNP: how can I do this? If you are 40 years or younger and an ERA-EDTA member, you may join the YNP at no extra cost. Please check full information on how to join here. 22- Can I renew my membership for more than 1 year? 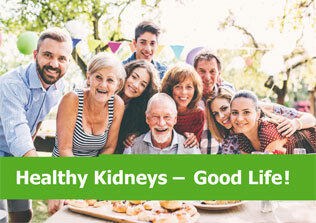 Yes, ERA-EDTA gives the possibility to renew the membership up to 3 years.